A Seizure should not be taken lightly. The IRS will ultimately pursue seizure of your physical assets. Don't think they won't. Many a newspaper or television show has reported citizens being forced out of their homes after it was sold at an IRS auction, often for as little as half its value. If you've received an IRS seizure notice, it's time to act now! 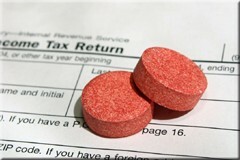 Please complete the form below to get a Free Consultation with our tax specialist.